CPQ Software has many benefits to the IT Channel including increased quote value, shorter quote-to-order cycles, reduction in returns and of course a boost in customer satisfaction. While those job roles that are tasked with growing their Channel may be well aware of these CPQ Software benefits, it could be that your colleagues who are in charge of budgets, or IT projects, have never even heard of CPQ Software. 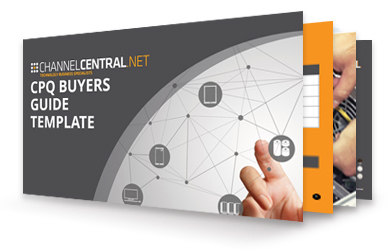 As such, channelcentral has produced a CPQ Buyers Guide which acts as a template for potential customers to use, manipulate and present to their colleagues. The CPQ Buyers Guide is available for download and should give customers a good starting block for embarking on a CPQ Software project. If you have any questions or need any assistance in completing the document then please contact us, as we would be delighted to assign you to one of our Channel Experts who can complete it with you. Fill in your contact details below to download a copy of our latest CPQ Buyers Guide. If you would like to learn a bit more about CPQ Software generally and what it could do for your business then why not download our Whitepaper ‘Increasing Revenue and Reducing Workload with a CPQ Tool’? Fill in your contact details below to download a copy of our latest CPQ document.